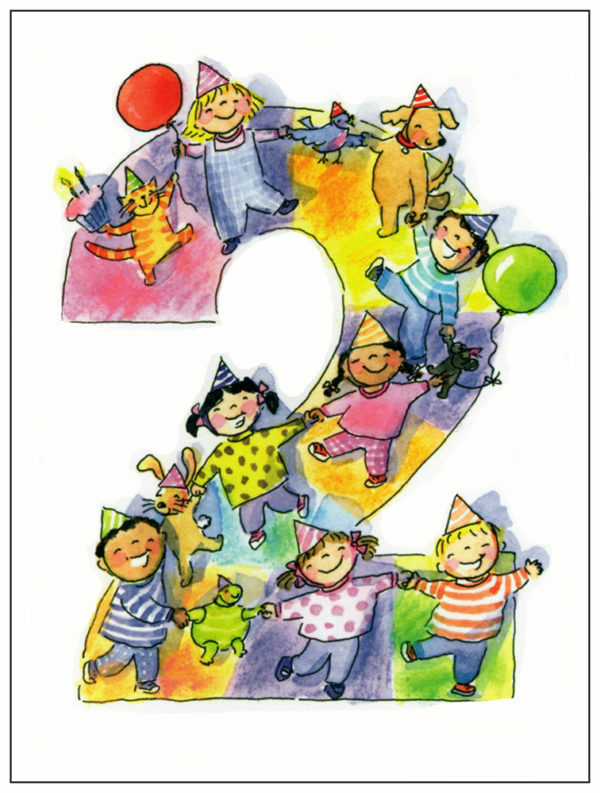 This fun child’s 2nd Birthday Card is charmingly illustrated by artist Shelley Dieterichs with kids and animals in the shape of the number two wearing birthday party hats and holding balloons! 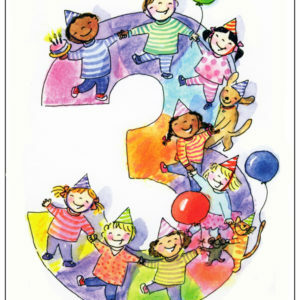 Inside the child’s 2nd birthday card the message reads “All your friends are wishing you Happy Birthday! 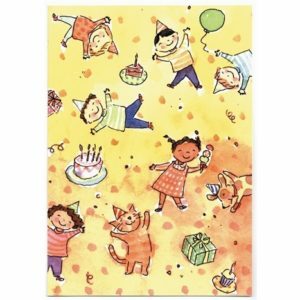 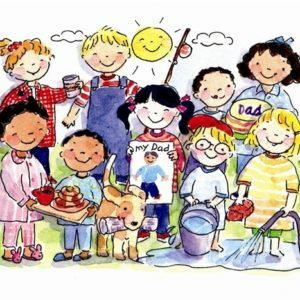 Today you are TWO!” There are more cute birthday cards for kids, along with party invitations, kid’s thank you notes and great gifts in the Good Buddy Notes store!